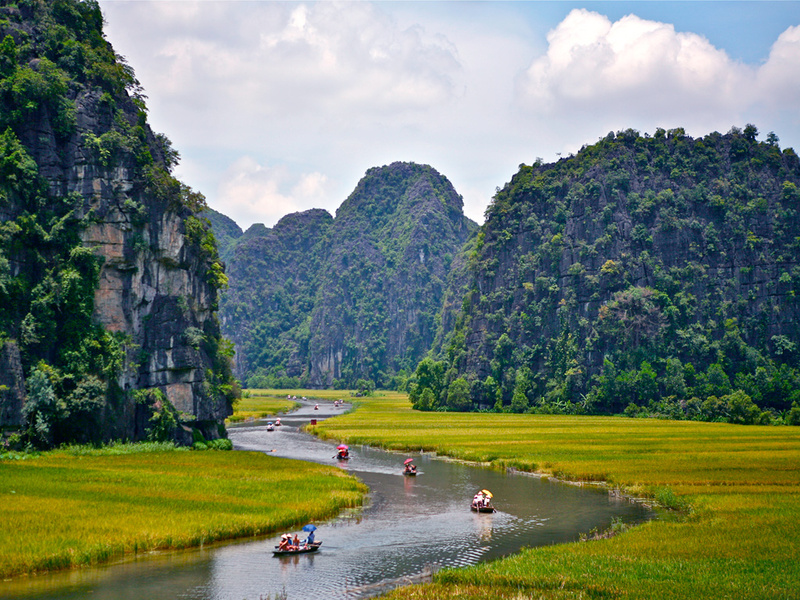 Undoubtedly the most impressive of Tam Coc are rice fields when at its best, with a bright green with yellow, ending in the beginning of the cliffs of the rock formations. 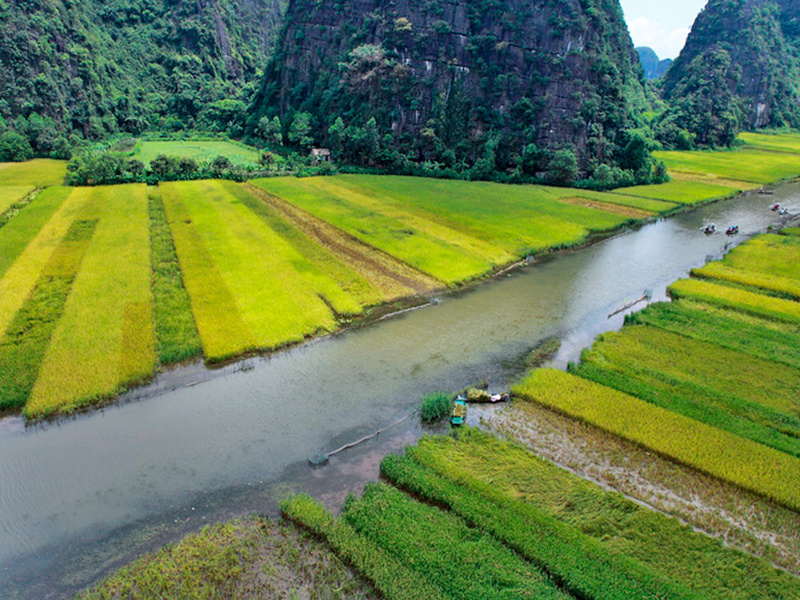 The Vietnamese call the paddy fields of Tam Coc as the Green Sea. 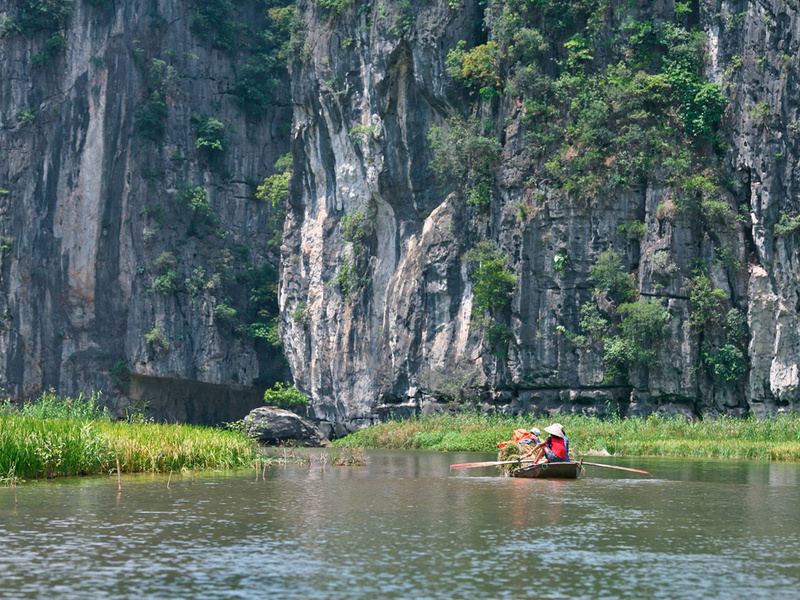 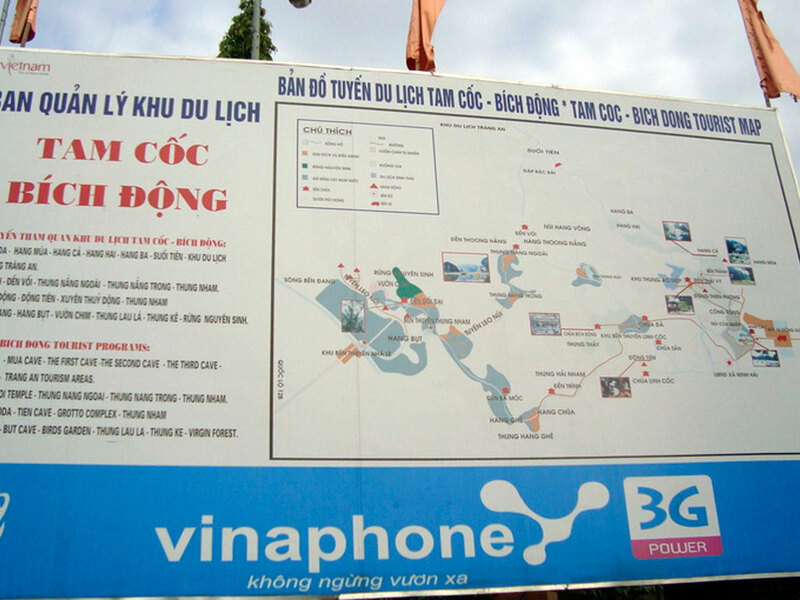 The price of admission to Tam Coc is approximately 2€, price to which must be added the cost of the boat. 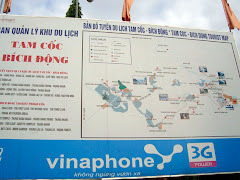 We can buy tickets at the ticket office located next to the parking space. 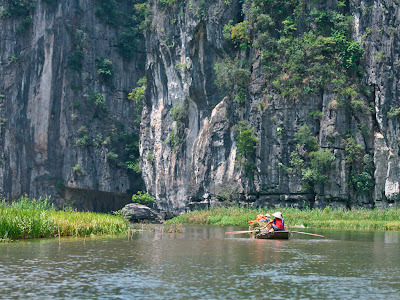 The Tam Coc experience begins at the Pier Van Lam, where we will sail in small rowing boats, called sampan, with capacity for 4 persons, by the Ngo Dong River. 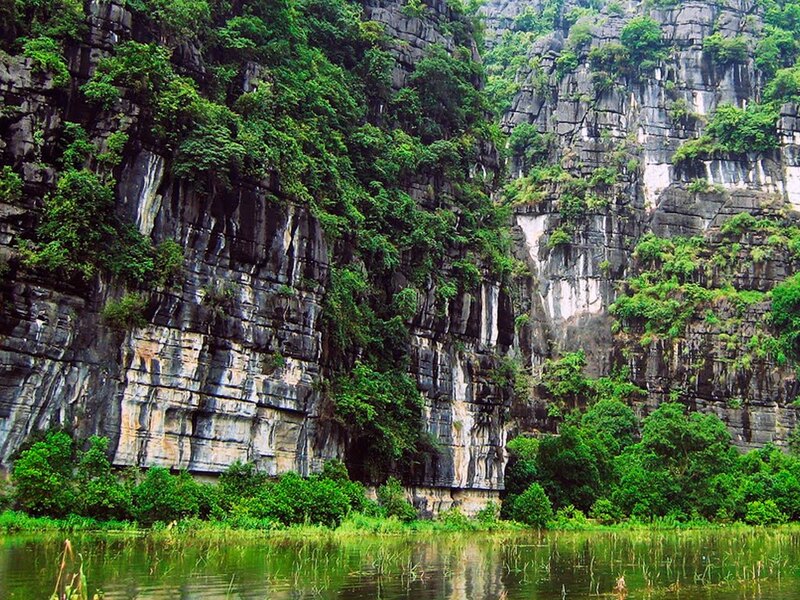 By our tour through the natural park will contemplate rock formations, we go through caves, visit pagodas and remains of monuments and buildings of times of the Vietnam's legend. 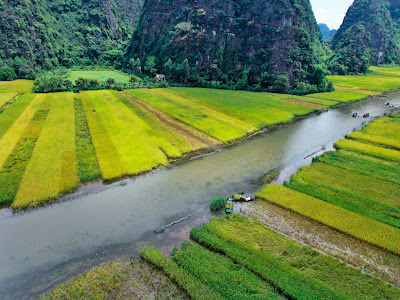 We will share boat with 2 Vietnamese who is in charge of rowing and steer the ship during the 2 hours that usually lasts for the visit by Tam COC. 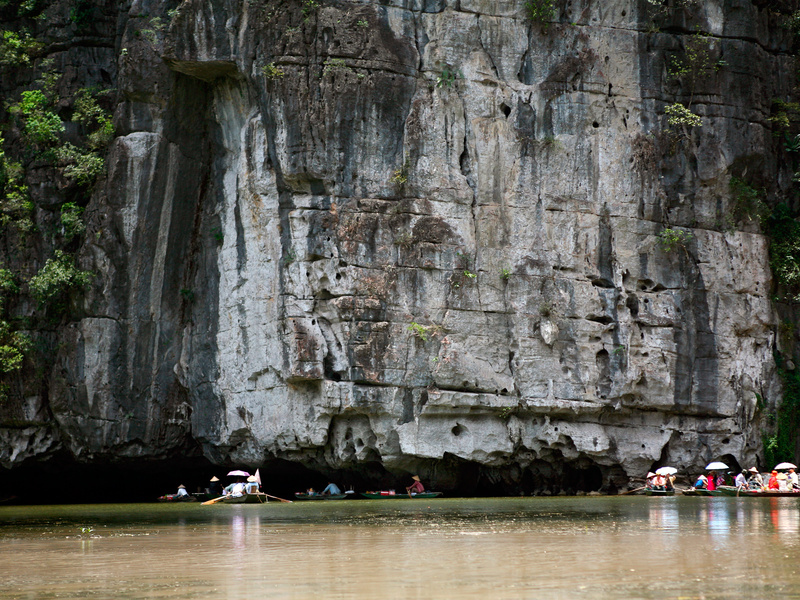 Typical tours by Tam Coc, in addition to the 3 caves, include as part of the tourist visit the area named Bich Dong, which consists of a cave and a pagoda built on a limestone hill. 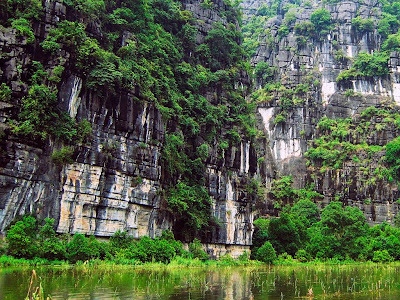 Tam Coc, whose literal translation is the 3 caves, named by the 3 caves that are enconden in the interior of the rock formations in the area which crosses the River Ngo Dong, about 3 kilometers from the pier Van Lam. These caves, whose names are the cave Hang Ca, Hang Giua cave and cave Hang Chateau, have been formed by erosion of the rio on the rocks, this is to say that the caves have no ground, but that the own River runs through the interior of the caves. The caves were created by erosion and the passage of time, in his inside 2 meters of height, find estalagtitas, strange and surprising forms carved in the rocks, wild vegetation and if we're lucky, monkeys. 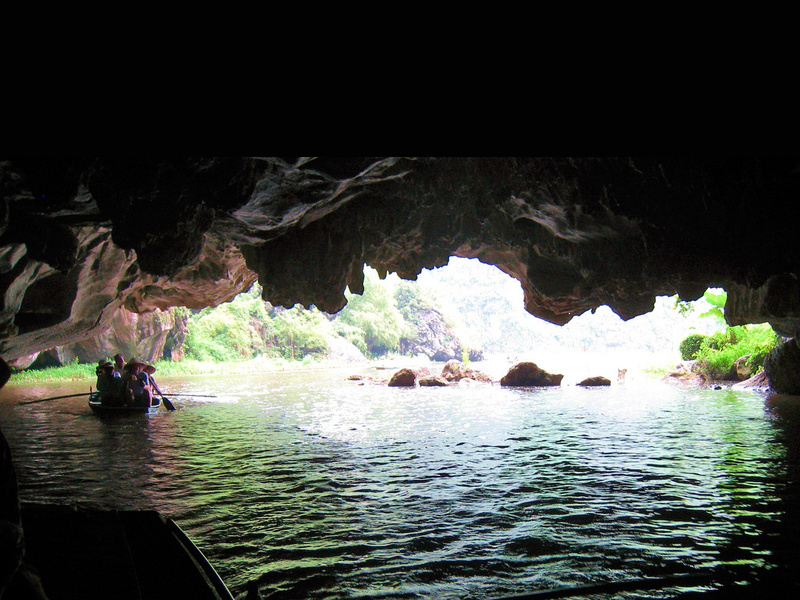 Hang Ca cave is the first cave and the largest of the 3, with 127 meters long and an entry of 20 meters wide, and a height of 2 meters. Their roofs reminiscent of a desert planet's surface.